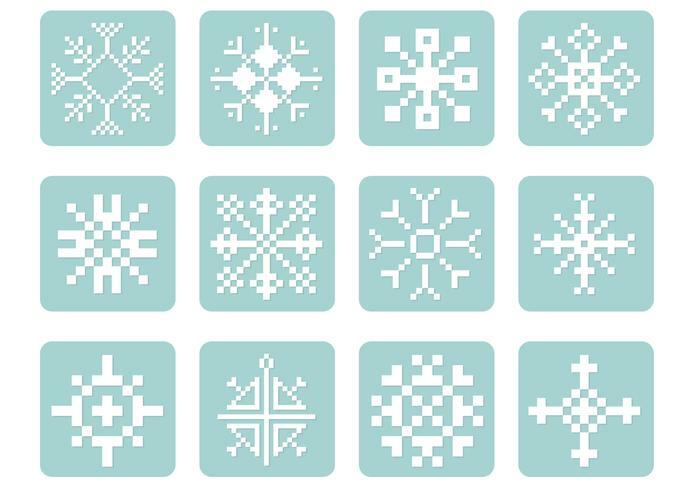 Pixel Snowflake PSD Pack - Free Photoshop Brushes at Brusheezy! Get ready for the winter whites and ski season with this new Pixel Snowflake PSD Pack! Included in this pack are twelve different snowflake PSD files with a pixelated-knitted-sweater look. Use these snowflake PSDs to get into the cold season and then check out the <a href="http://www.vecteezy.com/holiday-seasonal/58894-pixel-snowflake-vector-pack/premium">Pixel Snowflake Vectors</a> over on Vecteezy!